The Gourmet Food and Wine Expo took place this past weekend, (November 17 – 20, 2011), at the Metro Toronto Convention Centre, South Building. In its 17th year, this weekend affair is every (wannabe) food and drink connoisseurs dream! With dozens upon dozens of vendors, you are free to taste test liquors, wines, and beers, as well as gourmet cheeses, dishes and sandwiches. The currency of the Gourmet Food and Wine Expo is ‘sample tickets’, which are sold in a sheet of 20 worth $20. Each vendor decides the cost of their sample, (anywhere from one to six sample tickets.) Most beverages range from one to three sample tickets, where food samples tend to range from three to six tickets. The GFWE recommends a purchase of two sheets or $40 worth of tickets to be able to thoroughly participate in this taste extravaganza. With 40 tickets, you will have more than enough of the Gourmet Food and Wine Expo’s currency to be able to sip, taste, and enjoy the event to the fullest! If you’re planning to attend the Expo in the years to come, a word to the wise, be prepared! The GFWE is not in its 17th year by fluke. The number of patrons there on Friday night was astonishing. Being that the Metro Toronto Convention Centre is quite large, it is hard to imagine it so full of people that it is hard to move. It was. It took a lap around the site, losing my friends in the crowd and maneuvering around herds of patrons to get my bearings. After forty-five minutes of fighting through the crowds and a lap around the vendors, my friends and I had decided to just dive in to our taste testing! The most difficult part of the night was, undoubtedly, deciding what to try! Just imagine it… you are standing in wine, beer, and food heaven. What do you do? It took us roughly two hours to get through our first 20 tickets due to the crowds and the overwhelming number of choices present. My ‘team’ of friends and I had made the conscience decision to make this as adventurous of a night as possible for our taste buds. I had encouraged my friends to try wine, (split decision), while I had re-attempted a cider beer, (surprisingly delicious), and we all had sampled edible shooters, (a mini ice cream cup shooter of sugary goodness.) Keeping with the theme of a taste bud adventure, we also agreed to try a sample of duck served from Brassaii restaurant and lounge, (previously reviewed by my friend and colleague Summer Fanous). Again, I was not disappointed by this delicious dish accented with thinly sliced beets. Rarely faltering a step, Masi has created another velvety red wine full of blueberry, liquorice, and vanilla. 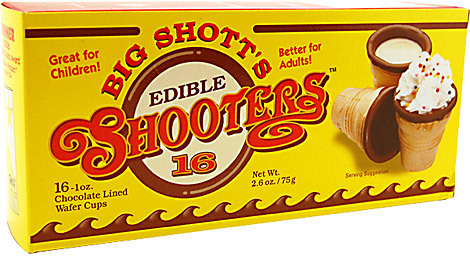 Delicious and fun, this shot cup can be filled with whatever liquor your choose. Maybe a New Years Eve must-have? Barbados’ “rum that invented rum” was so flavourful and aromatic; it is surely a cocktail in itself. It’s no secret that I am a whiskey girl but I often joke that Jack and I broke up a long time ago. 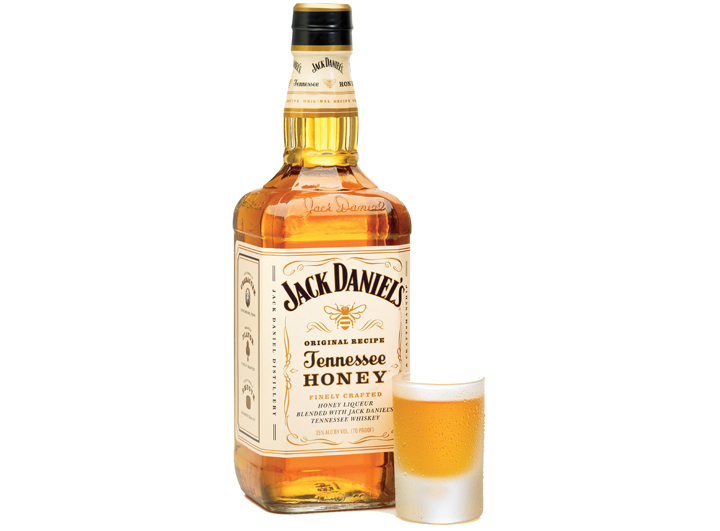 On the other hand, with this incredible flavour of Tennessee Honey, I think Jack and I can kiss and make up. We may even elope. The Gourmet Food and Wine Expo is a very hot attraction – and it is clear why. For the cost of an evening of dinner and drinks at a restaurant, ($40-$70), you can have an evening of several tantalizing miniature meals and a dozen different drinks to choose from. The atmosphere is lively, full of lounge music and live music, celebrity chefs, and a Food Network kitchen set up for cooking how-to’s and competitions. A recommendation for anyone who wishes to attend next year: visit the Expo well prepared. Do your homework. A little preliminary research to familiarize yourself with the vendors and the shows presented will go a long way. Subway down! The Expo is accessible via Union Station and a short walk through the Skywalk. There is no reason to drink and drive. And next year, I will make the time to spend an entire day enjoying the event as opposed to just one evening. There is so much to see, do, and taste! A full day of food and drink is needed for any glutton like me!